A charming vintage-inspired quilt is just what your home has been waiting for! It's a welcome addition to your rustic decor. 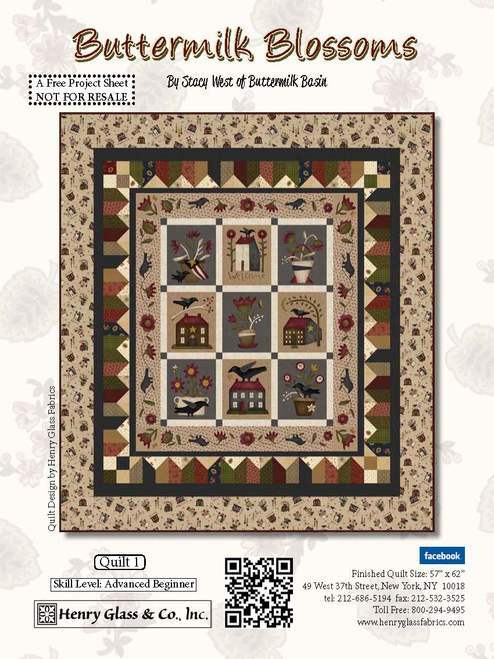 This pieced panel kit contains a pattern and Buttermilk Blossoms fabrics for the top and binding, by Stacy West for Henry Glass. Backing sold separately, 3 3/4 yards needed. We suggest Buttermilk Blossoms Novelty Toss Cream yardage. Skill level: Advanced beginner. Finished size: 57" x 62".